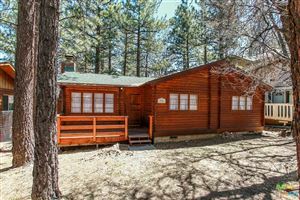 Sugarloaf is an unincorporated residential area east of Big Bear Lake, a mountain resort community. The area is primarily residential with a convenience store and a post office located at the center of the community. The streets follow a simple grid plan, of which all streets running north to south are 100 feet apart from each other. The majority of homes in the area are second homes and or vacation rentals.